The LDR Renovation, located in the main hospital at Riverside, was unique in many aspects. Andrews analyzed the budget with the hospital’s team to determine where their limited funds had the most effect. The Labor, Delivery, and Recovery (LDR) project was a renovation of the patient rooms as well as the nurse stations, registration, triage, and locker rooms. 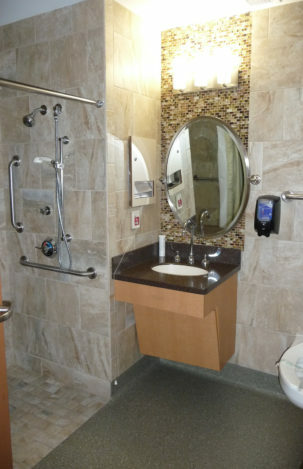 To provide a home-like environment, the patient rooms and toilet rooms were given a warm, welcoming look with paint, tile, decorative mirrors, lights, and casework. The largest challenge was to make the reception, triage, and nurse stations more functional without increasing the square footage. 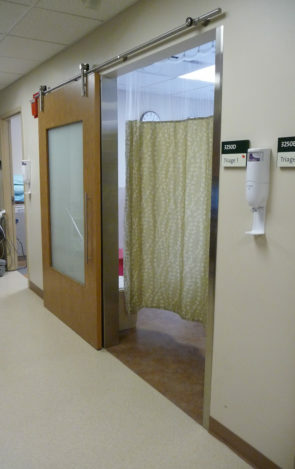 Adding decorative sliding doors to triage not only made the space more functional, but also gave an added detail of warmth and privacy. 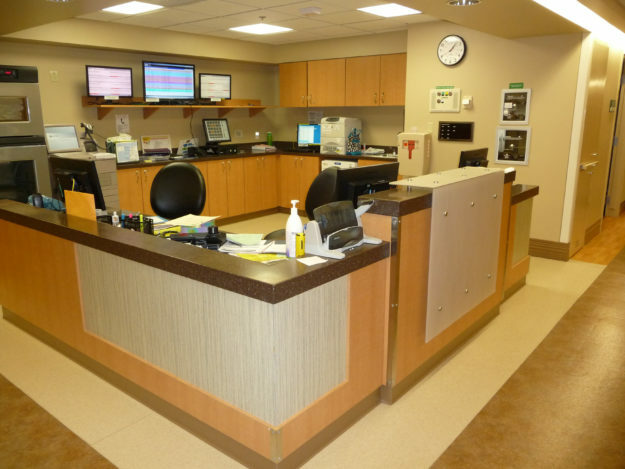 The shared space for reception and triage made use of an underutilized checkout corridor and added space for equipment needs, as well as provide a quiet space for the staff to conduct work. The renovation of the nurse stations resulted in streamlining the staff flow and reduced the wasted space in the corners which provided more work area for the nurses.